MIAMI, FL - Each year, the holiday season comes bearing gifts—sometimes it’s snow, others it’s sun, and depending on the year, I cherish both! 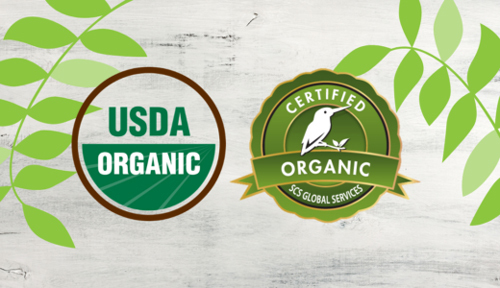 This year, Crystal Valley Foods is checking organics off of consumers’ wish lists and bringing the gift of organics to grocery stores across the country thanks to a new handler certification and even newer items heading down the pipeline. I’m not a mind reader, but I think it’s safe to assume even ol’ Saint Nick will appreciate this. I caught up with Katiana Valdes, Director of Marketing, to learn more about Crystal Valley’s latest accomplishments and what other exciting things the company has in the works as we head into 2019. 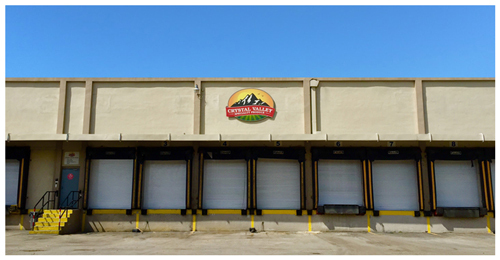 But Crystal Valley isn’t just a one-trick pony, and while the company is pushing an organics expansion, it is also redesigning, modernizing, and expanding its Miami-based facility to take its value-added items on a growth journey, too. Katiana also noted that Crystal Valley anticipates the modernization and expansion helping decrease the time it takes for carriers to load/unload at its facility. This, in combination with the facility’s location near the Miami International Airport, will increase efficiencies and benefit both its customers and suppliers. Along with the expansion, Crystal Valley is also investing in automated warehouse equipment and a warehouse management system, both of which will also streamline the company’s capabilities. “We will be completing construction in phases as to not interrupt normal business. Phase 1 is set to start the first of the year, and we expect to have everything completed by early spring,” Katiana concluded. Whether they’ve been naughty, nice, or somewhere in between, there’s no doubt that consumers will be thankful for Crystal Valley’s expansion efforts this holiday season. Keep enjoying AndNowUKnow as we continue to bring you the very best holiday news as it relates to fresh fruit and veg.